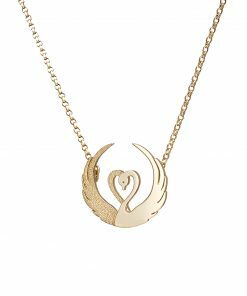 Children of Lir Pendant – Gold – two swan entwine to form a heart sybolising love and dedication. 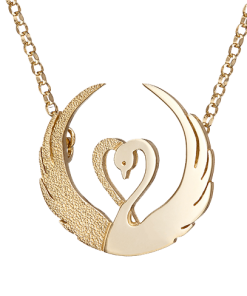 Handcrafted in 14ct yellow gold. 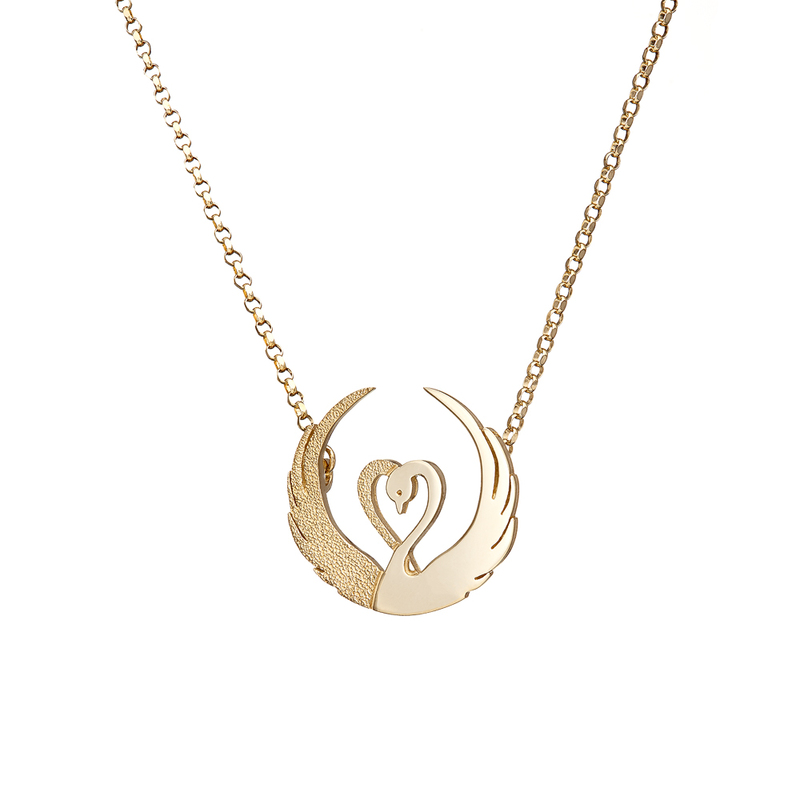 Other precious metals available on request. 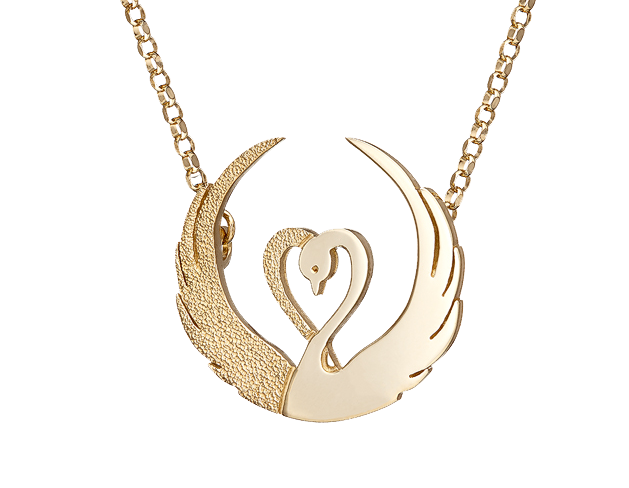 This special pendant is handcrafted from 14ct gold (other gold alloys available on request) and comes complete with an 18 inch chain.